I had fun painting these happy white flowers yesterday from my favorite daisy photo, incorporating a freehand watercolor border of sap green and deep purple background. 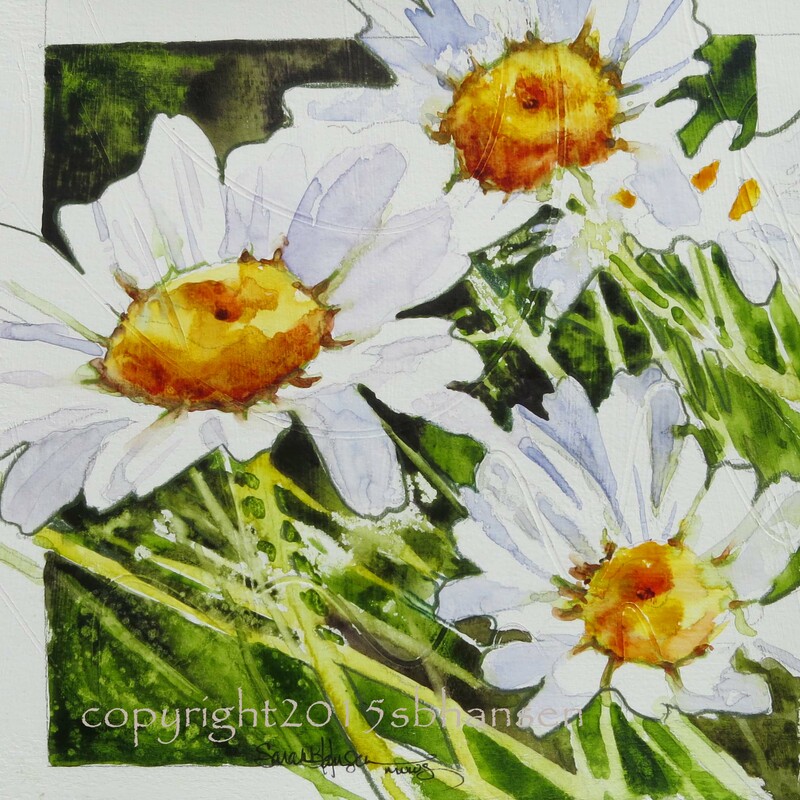 Daisy Detour 8×8 original watercolor on gesso-covered watercolor paper. $50. Includes matting and foamcore, ready to fit into a 12×12 frame. I named it Daisy Detour, because every time I see sunny daisies, I have to follow the daisies! They are so cheery! To purchase, send me an comment. I accept PayPal and will email a PayPal invoice. Shipping extra. Prints available, sizes starting at 8×8 for $25. 4×5 greeting cards available as well.